Meg Singer is at wits end. Her son, Jack, has gone off to university. This leaves her feeling very alone in her little cottage in the lovely village of Tindledale. She isn’t sure what she can do to fill up her time now that he’s off living his own life and she’s in Tindledale missing him. Added to that, the school board has decided that the Tindledale village school might be closing due to low attendance. As acting head of the school, Meg takes this to heart. She knows that her school has provided an education to everyone in the village and she can’t let it close, she just can’t. Only, how does she keep it open? The answer comes in the form of the Great Village Show. All the villages in the surrounding township are competing and Meg knows that if they place high enough, there will be an article in the paper, hopefully drawing potential newcomers with children to Tindledale. Meg throws herself into the preparations, knowing she has to do everything she can to make Tindledale shine. She’s distracted by two newcomers to her village: handsome and dashing celebrity chef Dan Wright. She learns from Lawrence, the owner of the B and B, that he might be opening up a new restaurant there. Then there’s Jessie Cavendish, a woman who seems to have it all. Jessie enrolls her triplets in Meg’s school, but there is something off about her, something not quite right. When Meg sees an altercation between Jessie and her husband Sebastian, she wonders if not everything is as it seems. My meagre plot summary is lacking in the heart that Alexandra Brown writes her world and her characters. It lacks the charm that she’s infused The Great Village Show with, the wit, the magic. I fell into this book and didn’t want to leave the village of Tindledale. What surprised me was the choice of protagonist. In the first book in the Tindledale series, The Great Christmas Knit Off, we met Sybil, who helped save Hettie’s House of Haberdashery. Her previous series all revolved around Georgie Hart of Carrington’s. So I was expecting to see what Sybil was getting up to next. Imagine my surprise when we met Meg and Sybil was a secondary character! This is a lovely twist and I wait with anticipation to see which character will narrate the next book. Will it be Sonny and Cher from the Duck and Puddle? Lawrence from the B and B? I can’t wait to find out. It takes a brave author to change narrators, but Brown makes it work so well. I can only hope that, when the series is at its end, we’ll know all the people from Tindledale better than we already do. Alexandra Brown constantly wows me as she continues to write “chick lit” that pushes boundaries and blurs lines. In the Carrington’s series, for example, Georgie’s mother passed away from complications due to Multiple Sclerosis. A pretty heavy subject matter for chick lit, right? In The Great Village Show, she deals with spousal abuse. It takes an awfully brave author to tackle such a subject, but an even more talented to handle it with gentle grace and to not let it bring down the joy of her novel. Brown deals with it in such a way that you’re left cheering at the end of the book. Still, it’s not the kind of topic you’ll find in chick lit but Brown makes all this work and more. 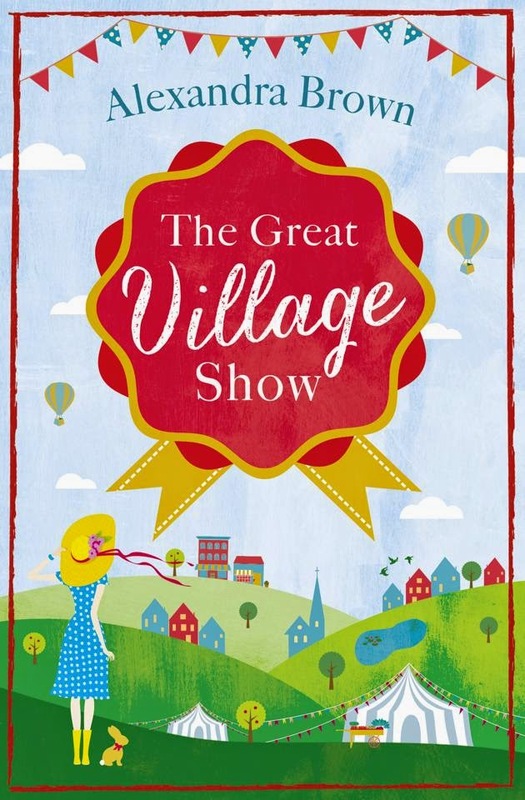 The Great Village Show is such a marvel and quite the treat. It will fill you up with joy and by the time you finish the novel, you won’t ever want to leave Tindledale. I’ll have to read the book for a second time when I get my paperback copy just to see all those characters again. They aren’t merely people of the page but characters that fill your heart.